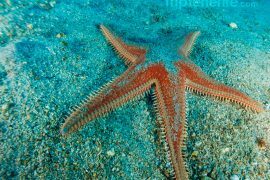 Thanks to its privileged environment, discover Tenerife flora and fauna, which has become an international reference for scuba-diving. Our dive crew is a team of experienced and enthusiast professionals, who will share with you their passion for the seabed, in a safe and nice environment where you will feel like a deep-sea explorer. 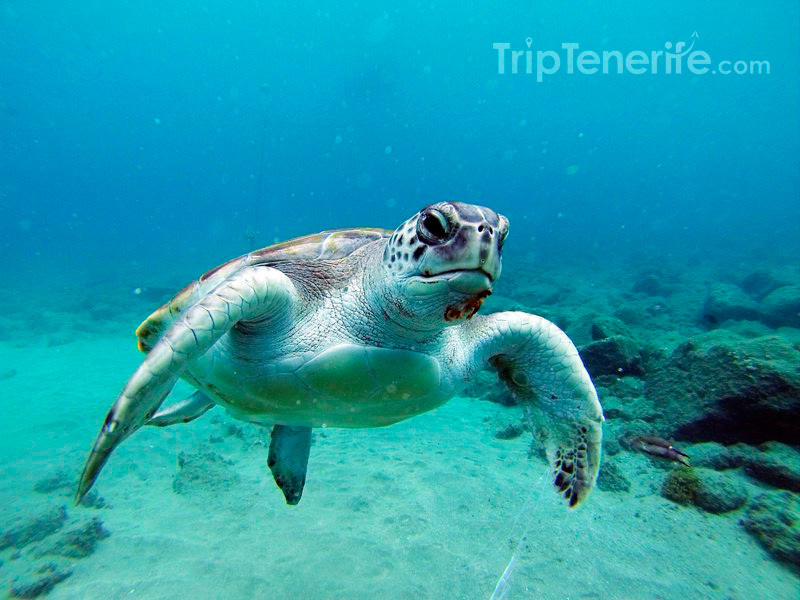 Playa de las Vistas in Los Cristianos (diving difficulty: easy, from the beach with a maximum depth of 6-8 meters). This is the perfect place for your first dive or night diving. 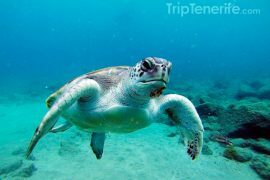 With a direct access from the beach of Las Vistas in Los Cristianos, this is an easy dive that offers a great diversity of marine life. 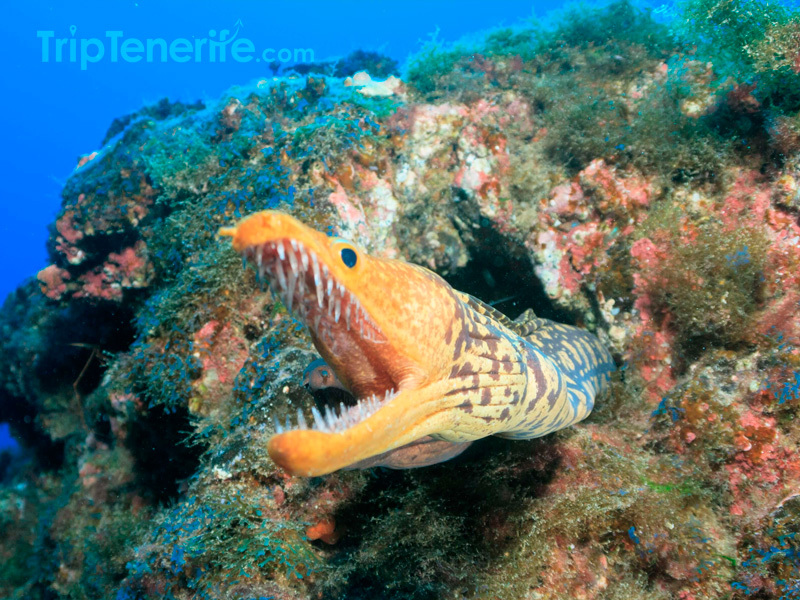 Puerto Armenime (diving difficulty: easy, from the beach with a maximum depth of 6-8 meters). Also known as El Puertito, this is a small and secluded bay located in Adeje. 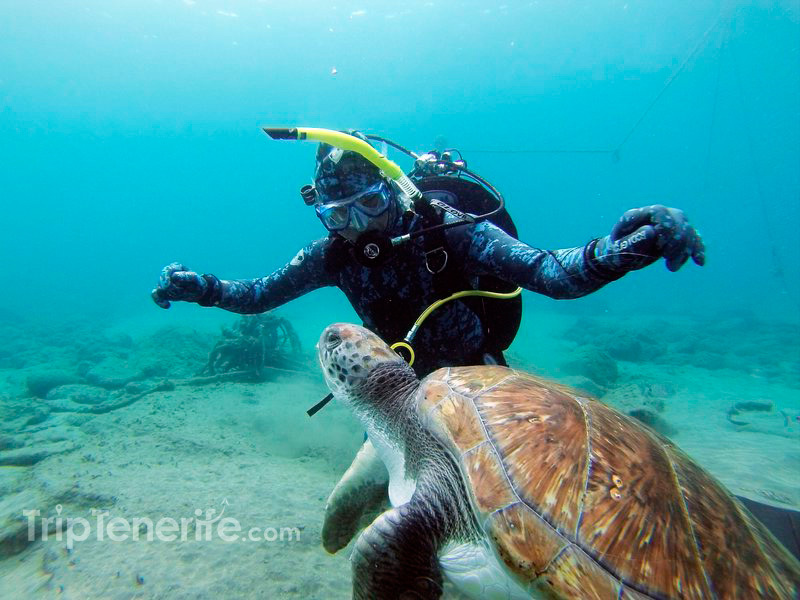 This dive spot is the perfect place for first dives or snorkeling. 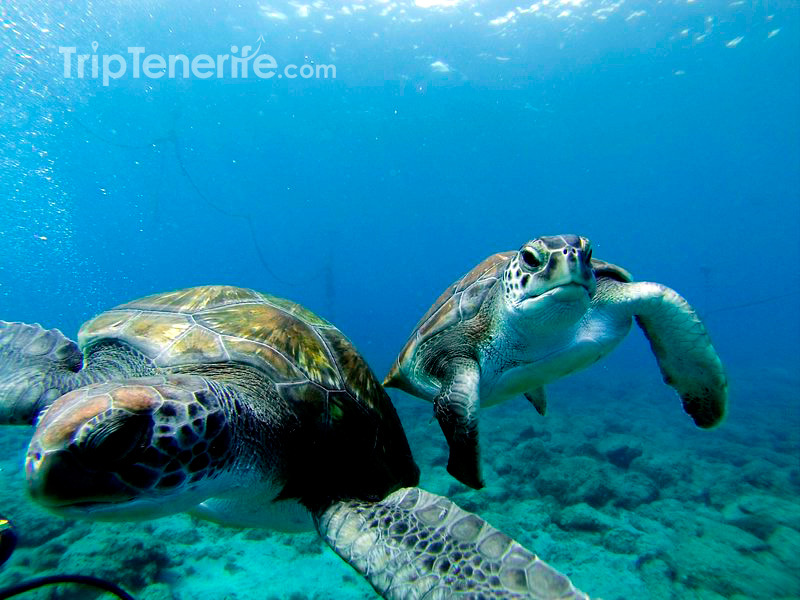 This is an ideal place for beginners as there is no current and you could see some turtles. El Caracol (diving difficulty: easy, from a boat with a maximum depth of 15-25 meters). 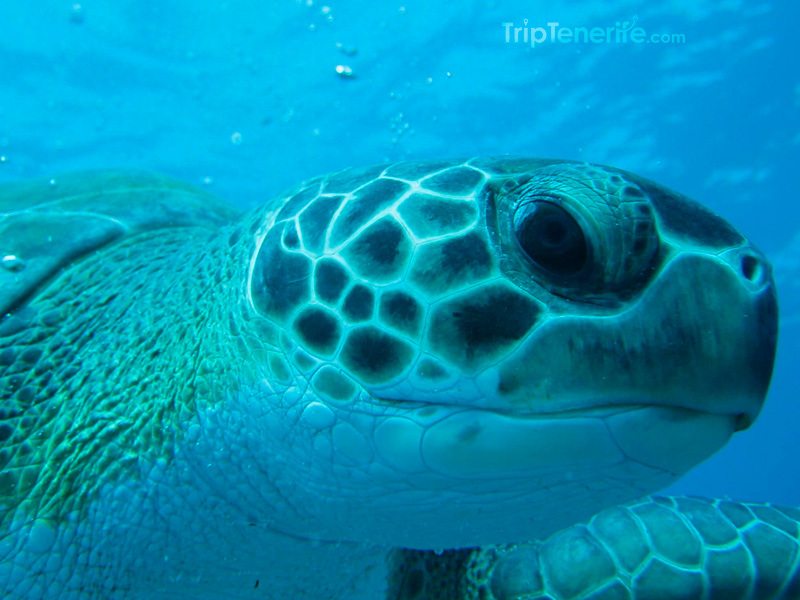 El Caracol offers an underwater immersion in which you will get to discover a lot of things in a short time. The wreck of a small boat would be the drop point. 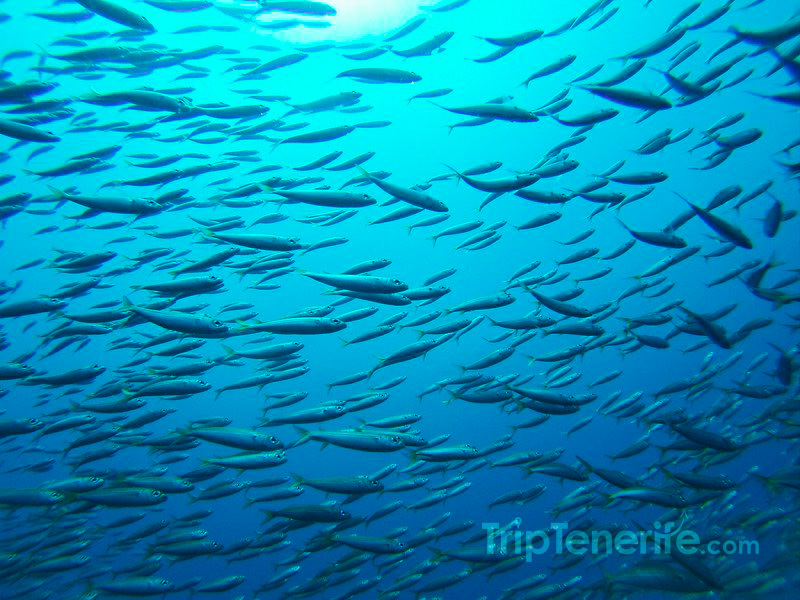 There is a large amount of fauna there so you will easily see an abundance of underwater life. El Condesito (diving difficulty: medium, from a boat with a maximum depth of 15-25 meters). 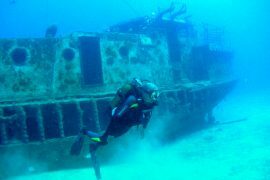 Immerse yourselves and discover the 30-meter El Condesito boat that wrecked near the Southern tip of Tenerife island in 1971. 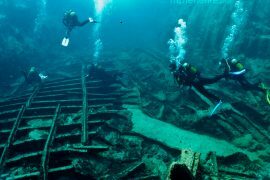 The wreck, broken into several pieces, lies at a depth of more than 20 meters. 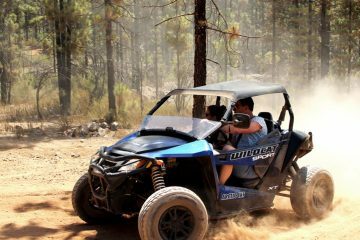 The place is located at 3.7 nautical miles from Los Cristianos harbor and it has some currents that can make the immersion more difficult. 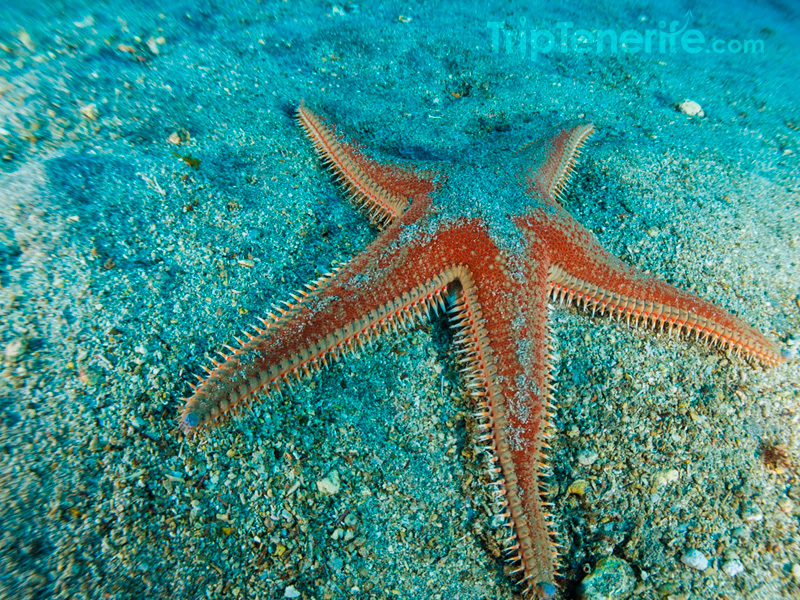 You will find a large array of underwater life such as octopuses, cuttlefishes, and viejas. 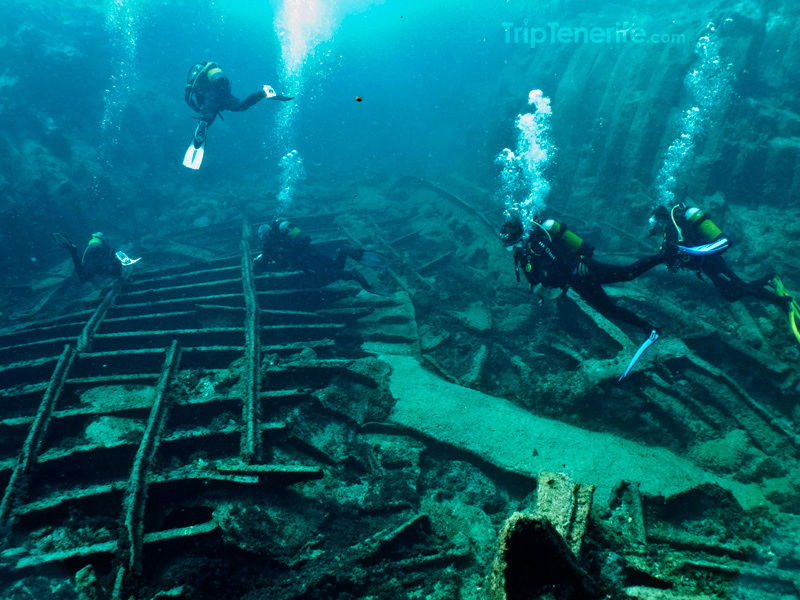 This is the perfect dive to discover a wreck as it is shallow and offers good visibility. 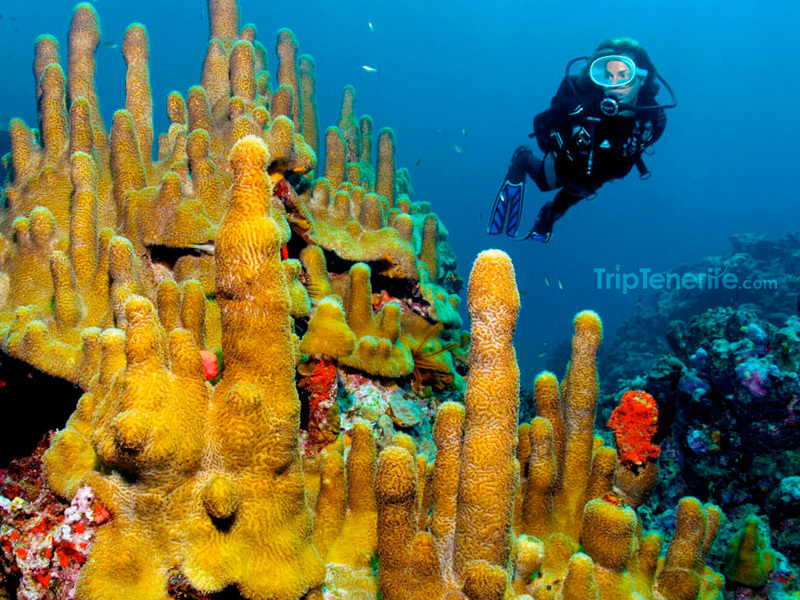 Montaña Amarilla (diving difficulty: medium, from a boat or the beach with a maximum depth of 15-20 meters). The Yellow Mountain is a beautiful coastal hill that has been formed by volcanic yellow ash and sculpted by erosion. 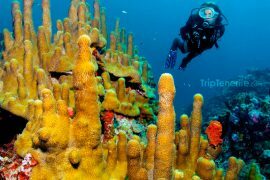 Its beauty continues under the surface of the surrounding sea, with a lunar volcanic underwater landscape of rocky reefs and a large ledge with arches and caves. 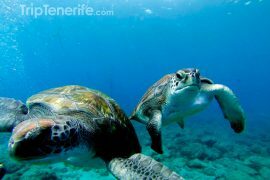 Located in Southern Tenerife, near the marina of Las Galletas, this dive spot is accessible from the beach or the boat. In the darkness provided by the caves, you can see moray eels, catalufas, garden eels and cherubs. 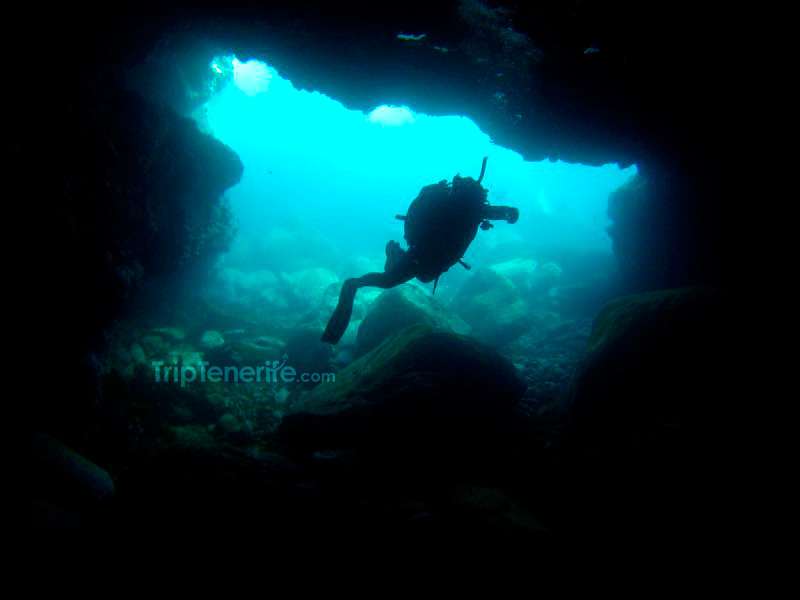 Cueva de las morenas (diving difficulty: hard, from a boat with a maximum depth of 25-38 meters). 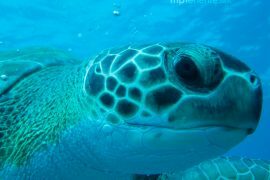 This is one of the most popular dives in the island! 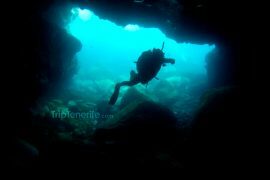 This dive is also known as Cueva de Juanito or Cueva de los Camarones. The drop point is a rocky platform which is about 18 meters deep. 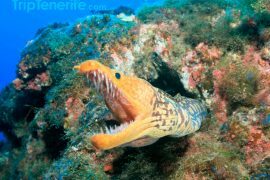 From there, a wall goes vertically down to 30 meters to end up as a sandy bottom, home to a large amount of garden eels and moray ells (black, duckbill and brown). Advanced level divers can visit the statues of the Virgin Mary and the Dolphin, respectively laid at 35 and 38 meters by the Association of Silence in memory of Jacques-Yves Cousteau. El meridian (diving difficulty: hard, from a boat with a maximum depth of 30 meters). 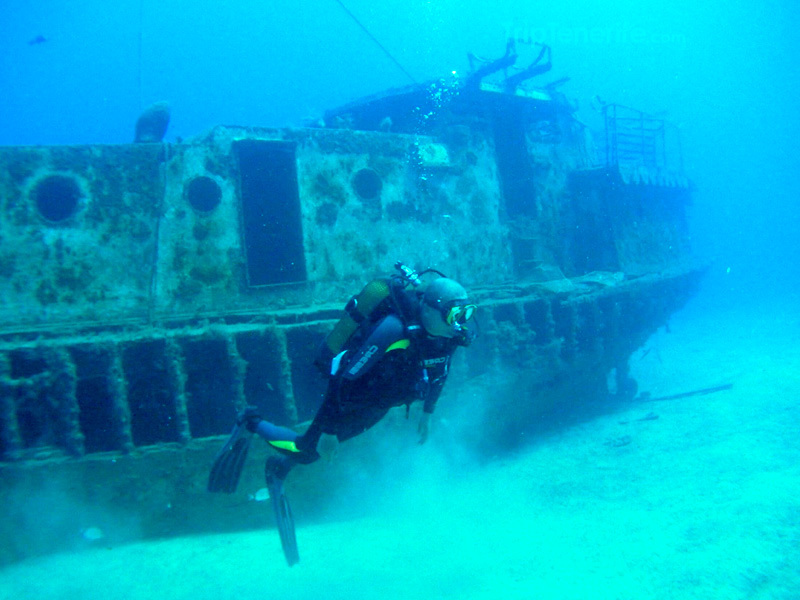 This wreck, which is still in excellent condition, is located in a sandbank near Palm-Mar. The sunken boat is 42 meters long. 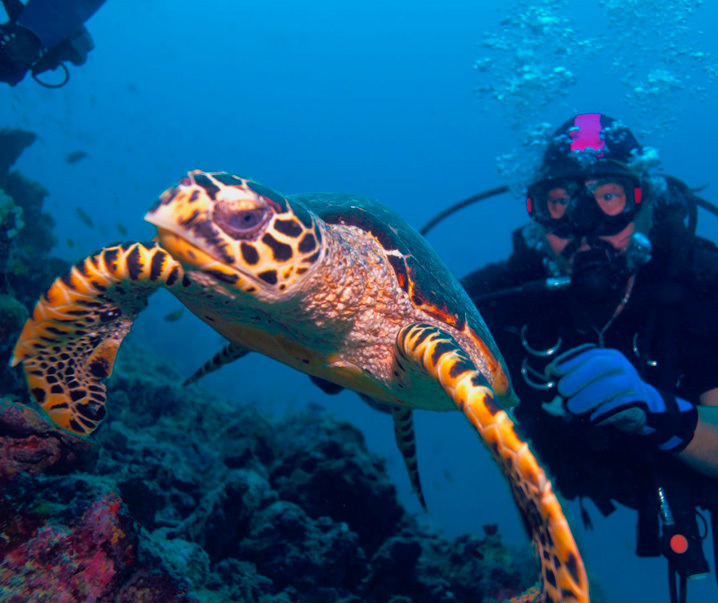 It is a perfect dive spot for underwater photographers, with its backlit environment; you can also get easily inside all the cabins and interior areas of the boat. DEPARTURE LOCATION FREE PICK-UP from your hotel. 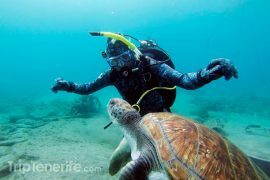 Children must have more than 10 years for the first dive experience. 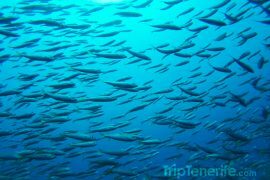 BIG FISH Dive Center Tenerife – Calle Jesus Dominguez Grillo 19 loc 2, 38650 Los Cristianos, Santa Cruz de Tenerife, Spain. Great experience! The instructor was really nice, professional and attentive. Would definitely recommend!